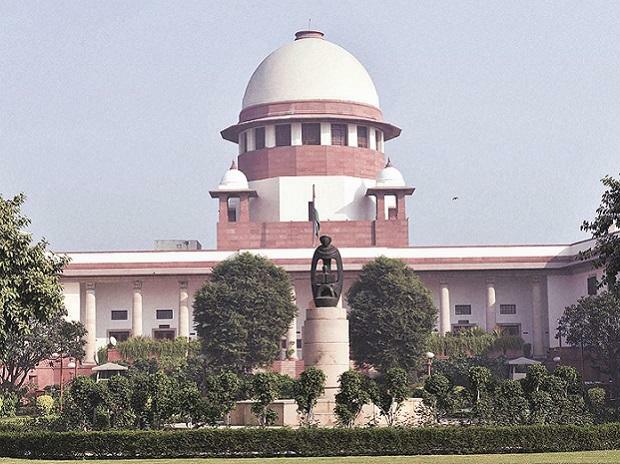 Three directors of embattled real estate firm Amrapali Group were on Tuesday ordered to be taken into police custody by the Supreme Court which castigated the company for playing "hide and seek" with the court and not complying with its orders to hand over all the documents to the forensic auditors. A bench comprising Justices Arun Mishra and U U Lalit said the directors -- Anil Kumar Sharma, Shiv Priya and Ajay Kumar -- who were present in the court, would remain in police custody till they hand over all the documents of the group's 46 firms. The two auditors -- Ravi Bhatia and Pawan Kumar Aggarwal -- appointed by the court to conduct forensic audit of Amrapali Group, said they have not yet received all the documents. The bench termed it as "gross violation" of the court's order. The bench also questioned as to why the group has not yet handed over account books of the companies to the auditors. "The flat buyers are saying that their money has been siphoned off. It can easily be found out from account books. As of now, nobody knows where the money has gone. You are definitely playing hide and seek with the accounts. The intent is to interfere with the process of law," the bench said. "Here the design is very clear. You are trying to buy time to do something," it said, adding, "You are doing it deliberately. Every time you are doing this." When the group's counsel sought "one last chance" from the court to hand over the documents, the bench said, "We have given you more than enough time. We have not left any stone unturned to make them comply with our orders". The apex court observed that account books of the group were finalised by their internal and statutory auditors till 2015 only and there were apparently no records of account books from then on till now. The bench noted that as per the two auditors, documents of only two out of 46 firms - Amrapali Zodiac and Amrapali Princely Estates - were handed over to them despite court's order to provide all documents. "We are constrained to observe that it is not only deliberate non compliance of the order but effort is being made to fritter away the documents in utter violation of the order passed by this court," it said. "In the circumstances, since it is necessary to hand over the documents to the forensic auditors, considering the non-compliance evident on record, we find that there is no other way except to direct the Police to seize all the documents and to handover the documents to the forensic auditors after seizing them from the possession of 46 companies and their directors," the bench said. "We, therefore, direct Delhi Police as well as Noida and Greater Noida Police to seize all the relevant documents as ordered by this Court and hand them over to the forensic auditors," the court said, adding that the documents sought by Debts Recovery Tribunal (DRT) in Amrapali's matter be also seized. It ordered that if the documents were found to be bulky, they be kept in a room and its key be given to the forensic auditors. "We make it clear that not even one single paper will remain with the auditors and Directors of the Amrapali Group of Companies for the aforesaid period," the court said and asked the Senior Superintendent of Police of Noida and Greater Noida to co-operate in the process of seizure of documents. "Let the Police take them from the court along with them, to their respective offices and residences and other places where documents may be found," it said. The bench also observed, "We are not arresting them (directors). It is not a normal arrest. If you want to live with dignity, you hand over the documents immediately". The court also directed that other directors of the firm shall surrender their passport to the police and would not leave the country. "What they (auditors) want should be handed over to them without mincing any word and without any delay or we will order their (directors) arrest," the bench said. The bench asked the group's counsel to call their directors, who were present in the court, and said, "We will send them to jail right away from here". The group's counsel told the bench that on September 27, the directors of group had a meeting with the forensic auditors and since the documents were voluminous, the auditors had said that they should not be given all the documents at one go and they would call for documents as and when required. The counsel said all the documents were in the corporate office of the group in Noida and possession of the office was with the auditors. "You are again trying to mislead the court," the bench said. It has posted the matter for further hearing on October 24.